Traditional magazine publishing suffered badly in the financial crashes in recent years and the growth of the internet. Many of the big names disappeared off the shelves. The losses were heavier in specialist genres magazines, which is where most of our imprints fit. It’s important to have some idea why this happened. Previously, magazines and papers were all printed on paper and this was expensive. You didn’t just pay the writers, but the printing presses and all the lorries and trains that distributed the hard copies throughout the world. Magazines and papers made money by selling advertising - and advertisers were more than happy to pay though the nose to advertise as there was no other way of reaching so many people through the medium of words and print. Advertising inventory was scarce – there was only as much as was relative to what was printed. Then the internet came – the internet made the cost of starting a magazine and distributing content to everyone in the entire world effectively zero, meaning everyone had access to far more magazines and newspapers than ever before, making advert inventory effectively infinite (not limited by physical pages anymore) – so the cost of advertising fell massively. In short – magazines, papers and the media could no longer depend on the plentiful advertising money they had had for years as they no longer controlled the means of distribution. There was suddenly more competition for everyone’s attention than ever before. Advertisers began to move to companies who could promise exposure people who had genuine interest in their products – people like Google and Facebook, who can target ads using the info they have about you and your interests. For a great potted analysis of what has happened in media publishing read this piece by Ben Thompson of Stratechary. From big papers to small blogs – everyone is trying to work out a way forward. As we’re sure you’ve noticed, some news sites (like this one, CNet) pepper their site with ugly ads, desperate to get the scraps of money left – and give the reader a terrible experience. The Times charges a monthly fee. The Guardian is free, but asks for donations. Some publications, like BuzzFeed, make an art of holding your attention and reaching the most readers possible, with addictive copywriting. The aforementioned Ben Thompson, writes unique specialised content, that people want to read, and charges $10 a month and does very well. What does this mean for you, the humble author? Well – writing articles for magazines and blogs is still one of the best way to get yourself known, build your platform and reach your potential audience. If you are a non-fiction writer, it should be a no-brainer. It’s up to you and your publicist to seek out the magazines and blogs that will give you the most bang for your buck – which ones reach the readers that most align with your book, ones with readers who actually stick around and read their content, and target those. Some magazines and blogs also include a Book Review section, so you can offer them both a review copy and an article/extract. Most magazines and blogs will have their own strict submissions guidelines which you will need to follow. It is highly unlikely that you will be paid – though with social media, and the right article at the right time, there is the chance of massively expanding your audience. Ensure that you mention this in your approach, that you will link to and share any coverage that you get. Here are some top tips for working with bloggers when promoting your book. Please refer to CHAPTER 9: MARKETING – Being Your Own Publicist – How to write a promotional email for do's and don'ts on approaching bloggers. Start your pitching to magazines and blogs early on in the publishing process. If you are using this to specifically promote your book, please wait until the book is available to pre-order. 6 months before publication date is advised. This timing does not apply to articles/blogs about you and your work, where you may just mention that a book is forthcoming. Read a lot of magazines and blogs in your genre and get a strong sense of what is out there and what is successful. Know your market and match your book to bloggers who also serve that market. Online reviewers and editors are busy and swamped with requests, many of which are badly written and thought-through. Do everything in your power to be economical in your correspondence – give what they need and want and not waste time. From some you will never hear, others can take a month or two. Always work with the guidelines or be ignored. Some magazines/blogs like to be pitched to, others like already-written content. Most publications want their articles to be written in a specific way. If offering a review copy, some want it before publication, some don't, but few will accept books more than three months after publication. If you give them what they want, and approach the process positively, you can develop valuable relationships. For articles, always think about what would be of interest to the editor (what would engage their themes and readers) and not what is of interest to you (telling people to buy your book). The trick is to produce a piece that can mention your book in passing, or in your bio, but also satisfy the blog/magazine and their guidelines and readers. For review copies, they ask for different, but not contradictory things, so draft a letter which includes them all. These would include title, volume number if in series, publisher, publication date, links to amazon.com and amazon.co.uk and Goodreads, any good reviews or endorsements from "names", length, synopsis, and offer the option of sending a printed copy or a PDF. It can be helpful to include the first chapter in your email (not the last chapter, you don't want a "spoiler", and don't send the email with attachments). If and when you do publish in magazines and blogs, encourage your online audience to read and share the articles. Starting your own blog can be a great way of engaging and holding your readers – but remember, don’t do it for the sake of it. You have to have something to say and be interested in saying it. Virtual book tours are where an author has developed a rapport with a number of bloggers, and can get these sites to feature reviews, articles author spotlights and giveaways. These tours can last for a few days or weeks. Best timed around your publication date. They can be combined with other promotional incentives, such as an ebook special price-drop for a set period. It is imperative that you link all the elements together. Some savvy bloggers have got themselves together in some genres and now offer such tours for a price to authors. To pay for such a service necessitates caution and research on behalf of the author. You want to ensure that the bloggers involved have a decent audience. We have many bloggers in our Contacts Database. Your publicist will contact those applicable to your book in their initial approach with a targeted email for a review or guest blog article/interview. Publicists have built up relationships with some bloggers to the point that they can send through extracted articles that suit the subject and style of the blog and the contact will automatically place the article for us, and share them to social media. You can find them by searching on “Type” – “Blog site.” When we come across bloggers, we try to ensure that they are current, blog regularly and have a reasonable-sized audience. You can see how many books they have reviewed through our PR, on the contact's Marketing History. We also try to ensure that we include their Facebook or Twitter addresses, so that you can make the connection complete. If you find a blogger that we do not have on our Contacts, please do add them. If you're adding a new blogger/reviewer, enter her/him as an "Organisation" rather than an "Individual." Copy and paste the relevant sentences on what the reviewer is looking for into "Description" rather than "Notes" – it's then quicker for future users to see whether the contact is relevant or not. Checking on duplicates can take the computer a couple of minutes in some areas, so please be patient. More on Contacts in CHAPTER 10: USING AND ADDING CONTACTS. Don't expect everyone you contact to write back. Within a month, you will probably have heard back from maybe just a third to a half, some saying they haven't the time... but however many replies you get, don't be disheartened – it's massively competitive out there. You may find bloggers using abbreviations for certain genres and categories. We have a list of the most commonly used in Appendices: Common publishing abbreviations. And remember this – there is more fluff, and badly written content on the Internet than ever before. But there is still, and always will be a demand, for intelligent, unique, differentiated writing. If you're not operating at the level of international and national media, and therefore not chasing huge audiences, then think in terms of carving a niche for your unique voice. If there is a demand for what you and only you can say, then your words will become valuable. It also provides an author with links and items for their social media, to spread the word, and show that their book is getting exposure. Read the full article above for some advice. 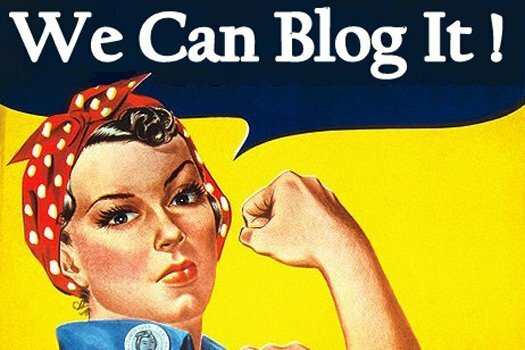 Alan Rinzler, a Consultant Editor writes about bloggers and their usefulness to authors in Book bloggers can help sell your book: Tips for authors. He argues that authors can sell books this way, but the whole area of blogging is fast moving and changeable. At the time of writing this (2017), an article with useful links to bloggers – How To Find and Work with Book Review Bloggers. Also check out Jane Friedman, a Publishing specialist whose advice is invaluable to writers, here is her list of The Best Literary Fiction Blogs & Websites for 2017. Reedsy have a useful searchable database of fiction bloggers that ranks them by genre and audience size. NB: We will update this section as we see useful advice for authors.